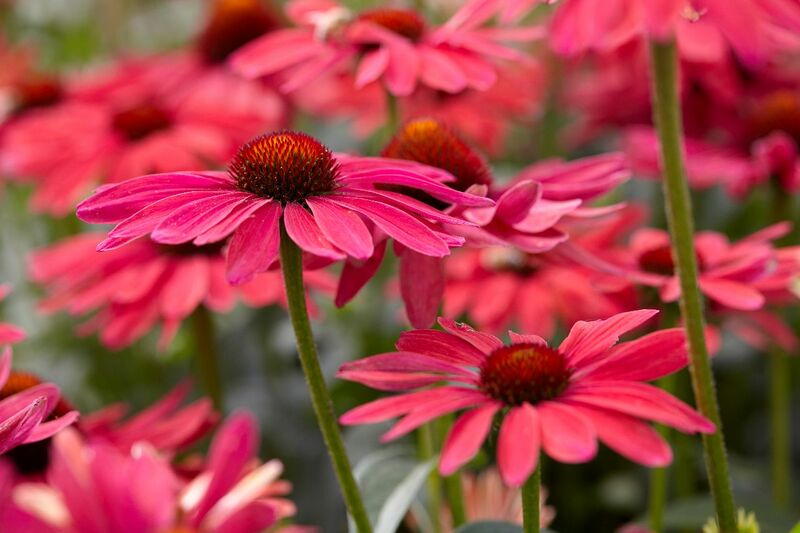 Perfectly pink, slightly curled petals surround the deep red cones of Sweet Meadow Mama. 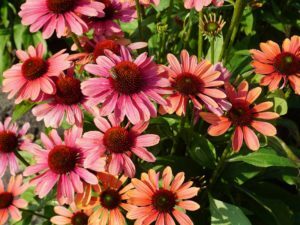 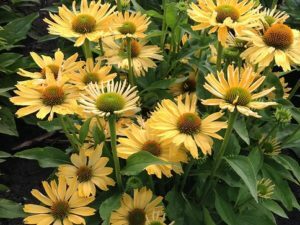 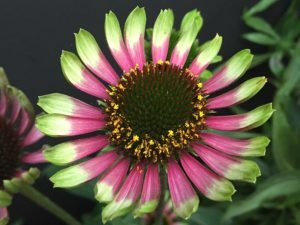 She’s girly, yet strong willed and full of fiery energy that will light up any mass planting, small garden space or mixed container for your porch or patio. 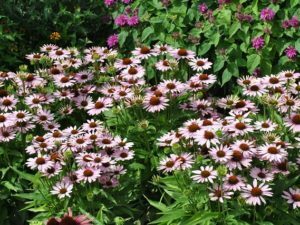 This mama mixes well with lots of plants, but especially with pale pink, blue and purple perennials and maroon leaved tropical plants.